You’ve Got to Shoot the Cute Chicks. It is not often that I get to see such a literal application of one of my rules. While some may consider it a sexist comment, my Rule #2 has always been You’ve Got to Shoot the Cute Chicks. Let’s face it, who wants to look at old guys like me? If you apply a broader interpretation, I really mean that the better the athlete the more pleasing your photo will be. Yes, sometimes this means they are more physically attractive, but more consistently it means they are in great shape and have much better bio mechanics than standard age-grouper. Early last week, I was invited to shoot the TriRock Series Race in Lake Geneva, Wisconsin. 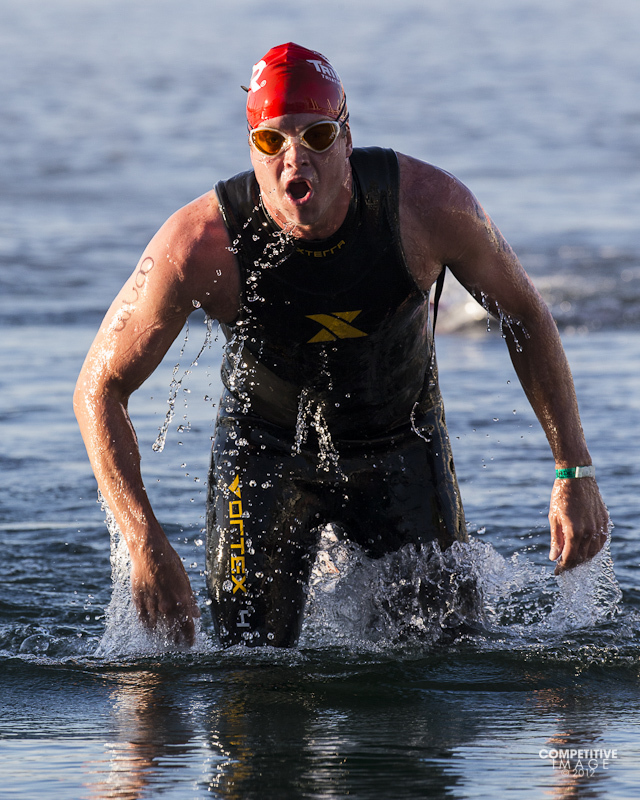 Here is a swim exit shot of one of the first athletes out of the water. Although I may post more a bit later from this race and it’s fabulous venue, late Saturday afternoon, I was able to head to Madison to see my dear friends Rex & Juli. Which really brings me to the subject of this post. If I can’t shoot the cute chicks here, I am really in trouble as a photographer.